iPhones are known to have one of the most beautiful interfaces in the world, making it handle text messages and voicemail more efficiently. It has the capacity to effectively handle applications that seems complex at first, making it an option for every phone lover. But what should you do when you want to sell it or in rare cases when it starts to act erratically. In both scenarios, you will need to reset your phone, this would automatically erase your information from your phone, but does it really do that and what happens when you erase your iPhone? 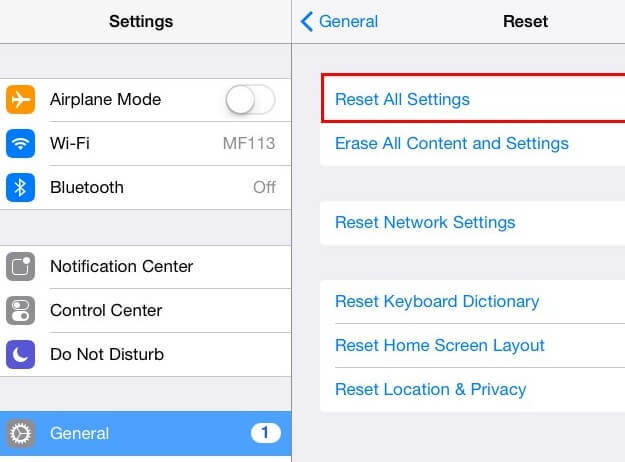 Erasing iPhone via settings usually helps when you experience a blank or frozen screen, apps crashing or freezing, keypad/touchscreen problems, can’t hear (which is usually due to bad speakers or other part of the audio hardware), the iDevice making funny noise, can’t make a phone call or receive one. And finally, the phone won’t synchronize. So now you may need to perform a reset on your iPhone. And what happens when you erase iPhone? Let’s find out here. As the name implies “Erase All Settings” it will simply erase all the settings on your iPhone to their default settings. Wait will I lose all my data? unlike the “Erase all contents and settings” no you won’t! you won’t lose any files, documents, data, or even applications. What you lose instead what it does is to reset all your systems settings to default. As such might lose some of your preferred settings. Just a thought though, it will make sense to back up all your files. If you need a complete erasing on your iPhone, then you may need an iPhone eraser to help you get things done. When it comes to erasing your iPhone via a data eraser, one software would readily come to mind: the iMyFone Umate Pro for Windows or iMyFone Umate Pro for Mac iPhone Eraser is one tool that will safely erase your iPhone according to your need. 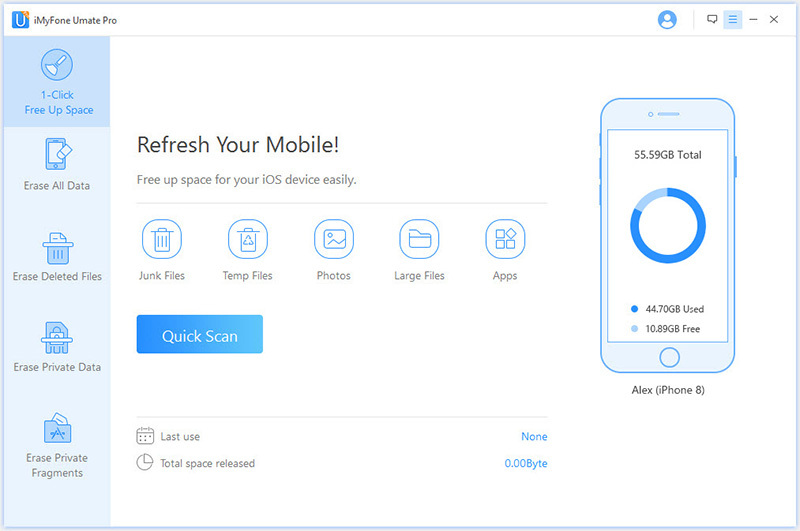 Unlike using the settings to reset your phone which would not erase the data completely, the iMyFone tool will make sure that this data is unrecoverable. So this time what happens when you erase iPhone by iPhone eraser? 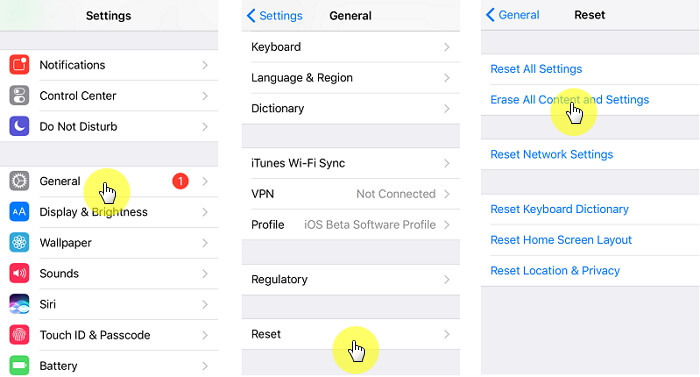 It can help you perform a complete reset on your iPhone to erase all data on the phone permanently. 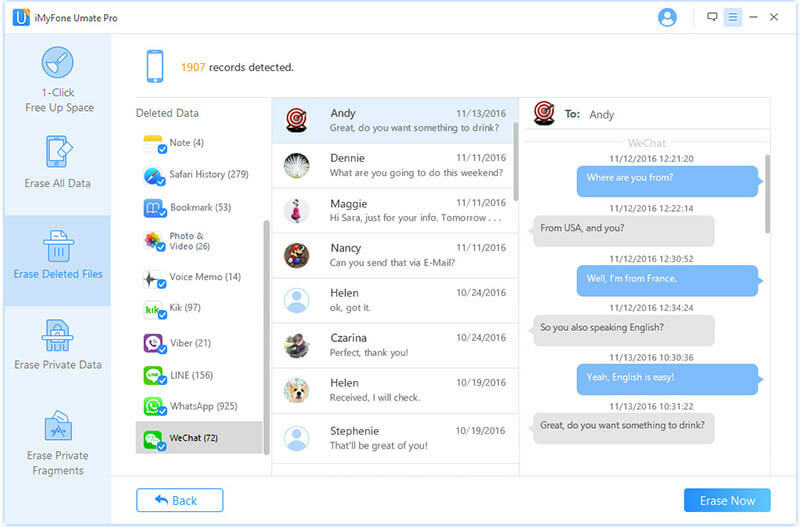 It helps you erase your private data like photos, call history, contacts, videos and other personal files. It even supports erase your already deleted files to make sure they are wiped out of your phone. It cleans private fragment of third-party apps and their attachments to protect the safety of Apps. 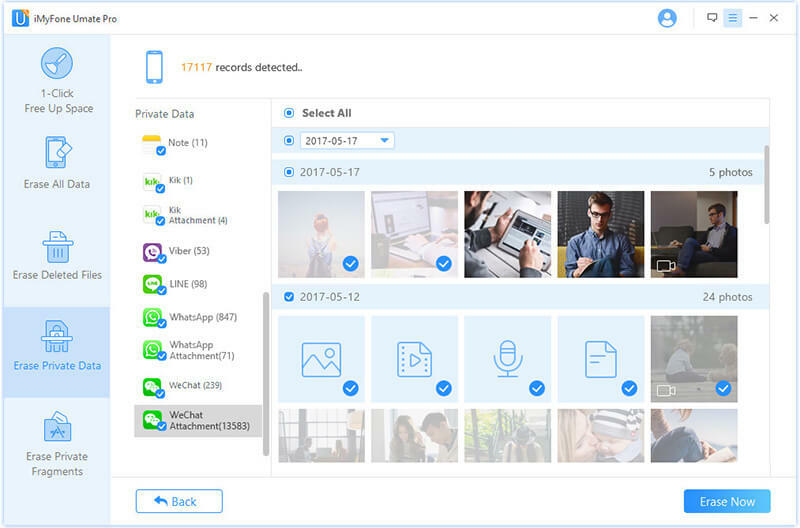 When you make use of the iMyFone Umate Pro like we’ve said before, it won’t just delete our data, it will also make sure they remain that way, and impossible for others to recover it. How do I use this tool? Just follow the steps highlighted below. 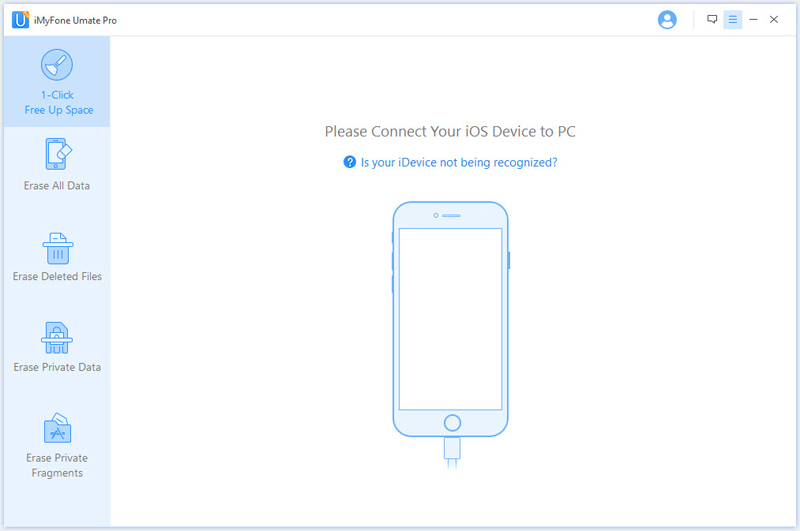 Step 1: Once you’ve downloaded the iMyFone Umate Pro, the first thing you want to do is to connect your iOS device to your computer through a cable. 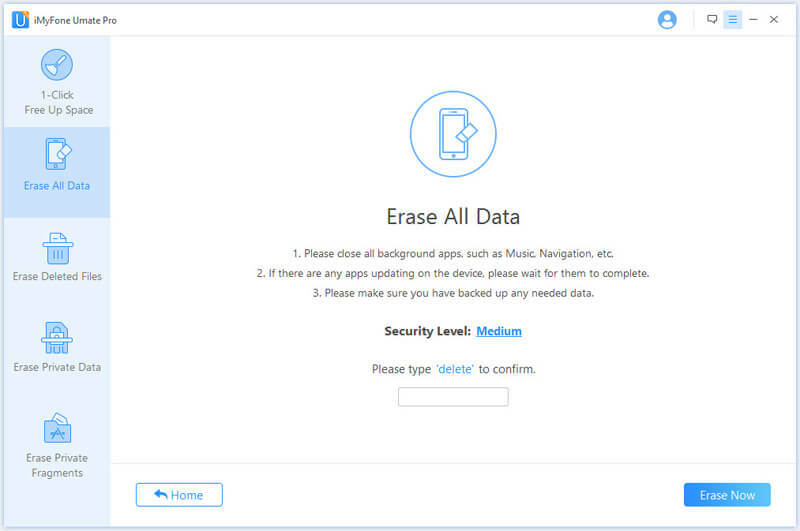 Step 2: When your iPhone or iPad connects successfully, you will need to choose the ‘Erase All Data’ tab on the interface. Click the ‘Erase’ button. Step 3: Before this step, you must have typed ‘delete’ into the box to confirm. If you want to change the security level, all you have to do is click on the link to change the level. Step 4: After you manually type ‘delete’ into the box to confirm your action, Click Erase Now button to erase all data on your device. But What Else Can This Tool Do For You? The iMyFone Umate Pro allows you to allow to release space just with one click. It comes with 5 functions, cleaning up junk files, erase temporary files, compress photos, backs up and delete the photos, and delete large files and remove unused apps. In short, it frees up lots of space and speeds up your iPhone. It makes sure that the files you once deleted remain that way and can no longer be accessible or recovered. The personal information stored in your iPhone which you normally won’t find on your phone can be erased using this data. 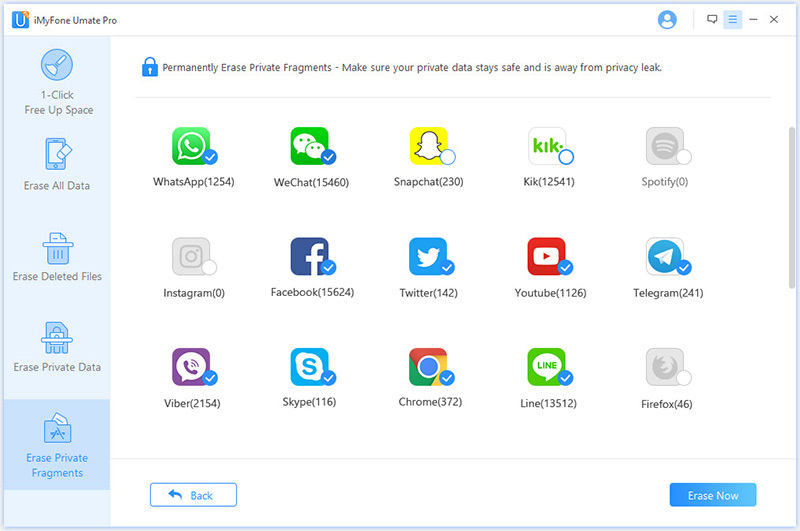 The tool can be used to delete private fragments, those junks left behind by the third-party apps, the tool finds them out and deletes them. 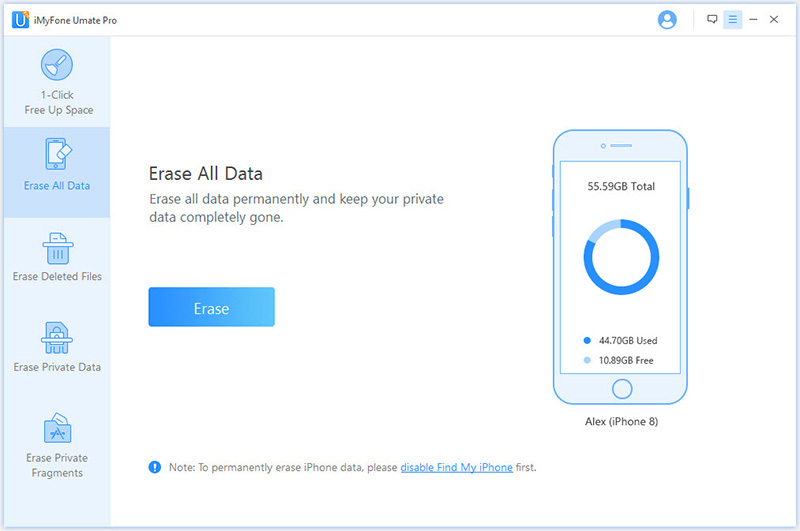 What happens when you erase your iPhone? If you erase all the contents and settings through settings then you will lose your data on the phone but still be recoverable. 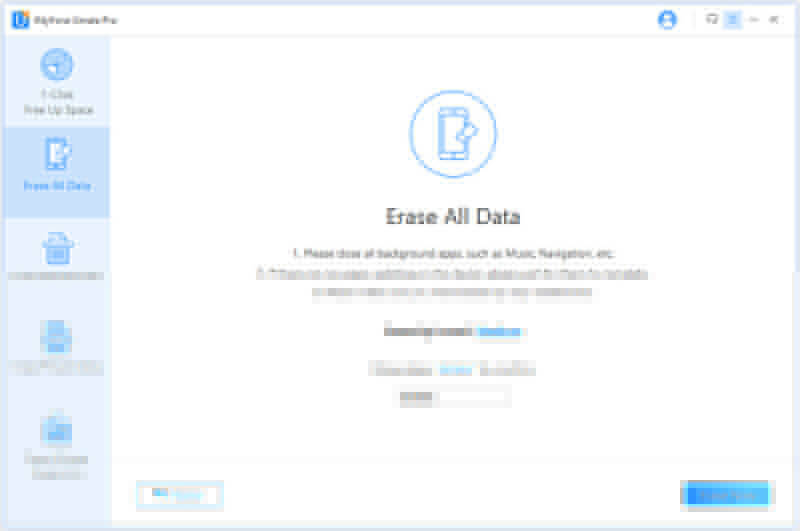 If you need to erase all the data permanently, you can try iMyFone Umate Pro. Reason for permanent deletion could be due to the fact that you want to reset it or you want to sell. Making use of just the settings on your iPhone won’t be enough, that’s why the iMyFone Umate is a good idea.